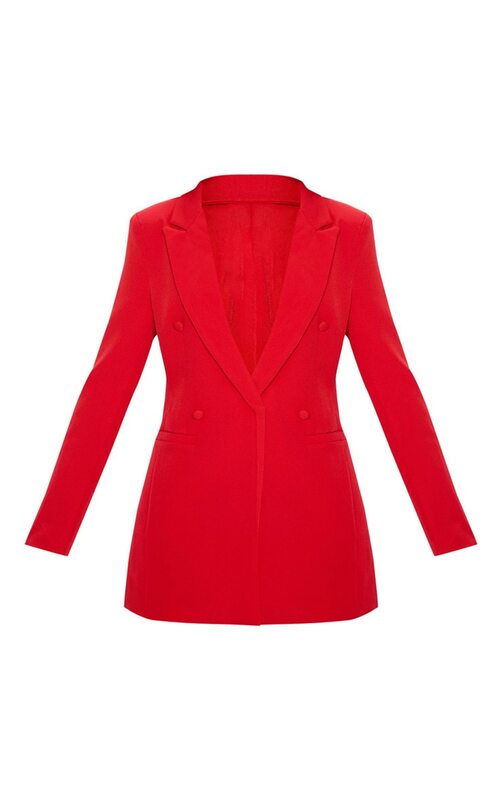 Add a pop of colour to your wardrobe with this must-have blazer. Featuring a vibrant red fabric with an extreme plunging neckline, double breasted style and tailored blazer fit, what's not to love? Style with red wide leg trousers and barely there heels for a sophisticated night out look we're loving.